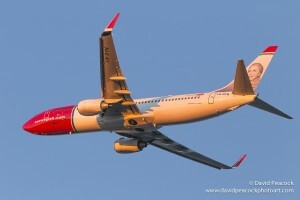 Home / AroundTheWorld / Norwegian Airline Drops Flight Tickets to $69, but Will it Work? Norwegian Airline Drops Flight Tickets to $69, but Will it Work? Travel is an $8 trillion dollar industry. With that being said, planes transport people from state to state, province to province, and country to country. Airlines charge hundreds to thousands of dollars for flights, but one air line company has made headlines with their double-digit flight tickets. $99? Nope. Norwegian Airlines has brought their prices all the way down to $69 for flight tickets. This price is guaranteed for flights from Edinburgh, Scotland and Bergen, Norway to New York’s Westchester County and Connecticut’s Bradley International airports. Norwegian Air is already Europe’s third largest low-fare carrier, but some are questioning if this new proposed fare price will be good for the economy and air travel industry. Yes, it would be highly beneficial to the consumers — every-day people who travel by plane. Contrary, it’s not so beneficial to the air travel industry and the economics of it. When prices become too low, there will be a surplus in consumers, yet not as much of a supply of air crafts, causing the industry (or in this case, Norwegian Airlines) to crash — no pun intended. There has to be an equilibrium balance between price and quantity, and supply and demand of the airline. The airlines’ CEO Bjorn Kjos says his idea is to “fly direct from smaller cities in the U.S. to smaller cities in Europe, diverting passengers away from the powerful hubs.” As with the prices, many say Kjos is crafty at creating attention-grabbers for headlines. Kjos more so says that prices will be relatively near $300. Sounds like headline publicity. Still, with prices at $69 per flight from Europe to the United States, it is very likely that this new business plan will not last for long. Through natural observations and the predictions of the economy, it will plummet quickly.